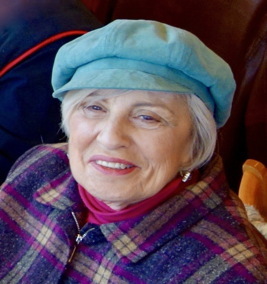 Carolyn Bentcover nee Cohan, 92, beloved wife of the late Irving; loving mother of Joelle Cullen, Bruce (Debbie), Mark and Brian (Lisa) Bentcover; cherished Grandma of Justin (Luciana), Ilyse (Todd), Erin (David), Jeff, Cathrina (Jason), Brandon (Brittany) and Taylor; adored Bubbie of Josh, Harper, Ari, Landon and Parker; many loving nieces and nephews. Chapel service, Monday 10 AM at Shalom Memorial Funeral Home, 1700 W. Rand Road, Arlington Heights. Interment Shalom Memorial Park. For information or condolences, (847) 255-3520 or www.shalom2.com.